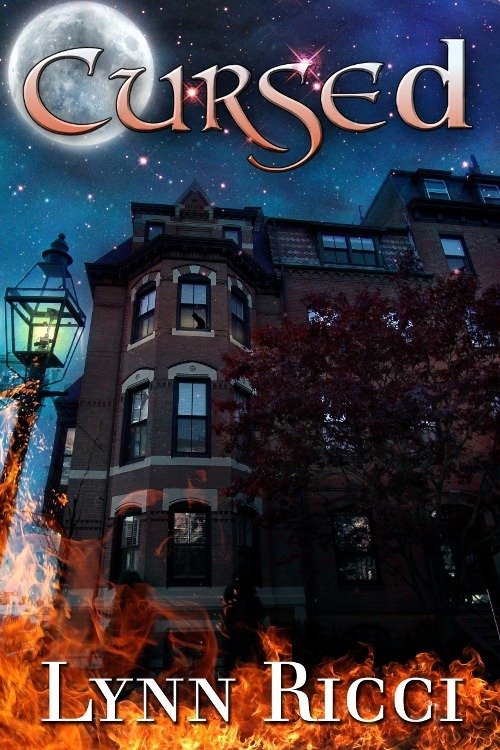 When Sarah Carter moves to Boston to escape her past she realizes there’s more than meets the eye with the landlord and her mysterious new best friend. What happened to the owner of this Boston brownstone and what secrets lie within its walls and continue to torment? And is she actually running back to her past instead of from it? Staring out of the small dormered window, he could just see the corner of the street. Leaves on the trees lining the sidewalk were moving past their prime of orange and red and turning brown as autumn made its way through Boston. The ones still clinging to the trees blocked part of his view. Absentmindedly he pulled his pocket watch out of his pants and checked the time although he instinctively knew it was still early. Purposely, he had chosen this spot to watch the street for a sign. He didn’t want to miss a thing. Mrs. Casey was nearly three stories below waiting on the sidewalk next to her white BMW. He gazed down at the plump woman in her camel jacket and brown plaid scarf. She had just arrived and was on her mobile phone, trusty bag over her shoulder. As he watched from above, he wondered if he might keep her for a while. She had proven to be discreet and respectful in their dealings thus far –always keeping her eyes conveniently averted. That was a big plus in his book. The sky had been bright blue and clear all morning but now the sunlight dimmed and small gusts of wind kicked up from time to time, stirring up the brittle leaves, scratching at the sidewalk and causing drifts against the wrought iron fence. He would go out and clean up the two small patches of grass in front of the building later, when it got dark. After all these years, he was comfortable working outside after nightfall. A flicker of yellow caught his eye as a taxi turned from Columbus Avenue onto Dunhill – a small side street in Boston’s South End, lined with fashionable brownstones. He straightened his bent frame as best he could and intently watched the cab’s approach, completely absorbed in his surroundings and on high alert. Below, Mrs. Casey tucked her phone away and pulled her coat closed. Is it getting colder, he thought, touching the glass pane in front of him, the chill spreading through his fingertips. The yellow checker taxi glided to a stop in front of the building and a young woman with ash blonde hair stepped out but held the door and leaned back in. His heart clenched as if it had been submerged in cold water and he grasped the windowsill to steady himself. From his vantage point, he could see the cabbie handing her some bills. She closed the car door and turned to Mrs. Casey, shaking hands. He wished he could hear the conversation, but knew that it would be pleasantries and then the expected basics. Both women squinted up towards the window and he faded back as quickly as possible. He was sure he was a moment too late, but what did it really matter? He snuck another quick look and relaxed, realizing Mrs. Casey was pointing out items on the ground level – most likely the security system, or flower boxes. But as he continued to watch he finally saw it: the sign he had been waiting for. Small gusts that had been making the crunchy, dry leaves rise and dance with their still colorful counterparts whipped up again a few buildings further along the street and came towards the women like a mounting wave. The leaves blew up waist high, swirling and twirling onto themselves until the force reached the women and spun around them in a leaf tornado. Mrs. Casey stepped back towards her BMW parked at the curb to get out of the maelstrom and the leaves continued, picking up energy and speed; surrounding the flaxen-haired woman, lifting and tossing her long hair like a Medusa at the center of the funnel. In reaction to the onslaught, the young woman covered her head with her arms and ran up the front walk toward the building to get out of its path. The wind disappeared and the leaves fell to the ground on the sidewalk as quickly as it had started. Overhead the sky was once again blue. The leaves settled gently on the sidewalk. Sarah laughed, removing a few dry leaves that had snagged on her scarf and sweater. “Well, dear, if it was any more wind it would have swept you away to Oz.” Sarah heard the deep Boston accent in the woman’s voice and felt immediately comfortable with the realtor. The cadence was almost like she was listening to her maternal grandmother, Rose. Growing up in Connecticut, her grandmother’s Boston accent was fodder for jokes, but she always associated the distinctive pronunciations with happy childhood memories. Sarah waited as Mrs. Casey reached into her oversized bag and easily pulled out a business card. “Thank you, Mrs. Casey,” Sarah said as she examined the card. “I’m so glad you were able to meet me on short notice.” Sarah stood on the bottom step and waited as Mrs. Casey dug paperwork out of her briefcase. Glancing around the small front enclosure she wasn’t sure was big enough to qualify as a yard, she noticed the black wrought iron flower boxes mounted below the bay windows, full of deep russet, red, and burnt orange mums. Mrs. Casey finished pulling out the listing sheet and noticed where Sarah was looking. Mrs. Casey started to climb the front steps slowly. Sarah wondered if it was her age that slowed her down but this seemed different, almost hesitant. As if on cue, the woman turned and looked down at Sarah, two steps below. She put one hand on the railing to steady herself before speaking. Sarah started to say she would make a good impression but the woman laid her gloved hand on her arm to quiet her. Mrs. Casey searched Sarah’s face, making sure all this had settled in. Lynn Ricci was born and raised in the Greater Boston area. 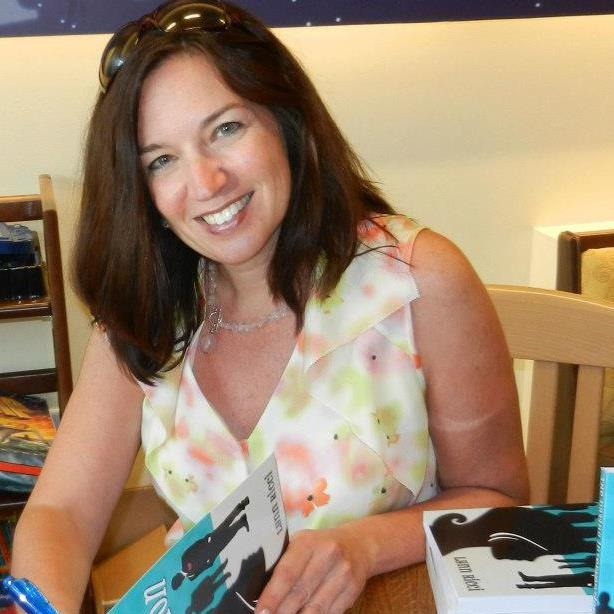 Her professional background is in financial communications and she pursues her artistic endeavors of writing and painting while enjoying an active family life with her two children and dog, Fenway.